Once staunchly pro-EU, Kosovars are losing patience with Brussels, which they accuse of prioritising Serbian accession over their own sovereignty, warns the mayor of Kosovo’s capital, Shpend Ahmeti. 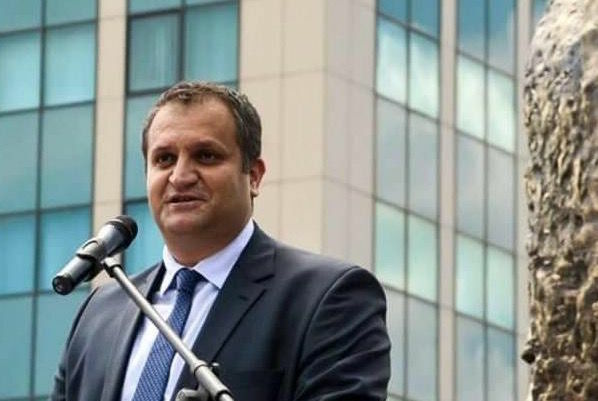 Shpend Ahmeti is mayor of Pristina, the capital city of Kosovo. He previously served as the vice president of the Movement for Self-Determination party and is currently a member of the General Council of the Movement. He also worked for the World Bank for a number of years. “The EU reiterates its unequivocal support to the European perspective of the Western Balkan countries. The future of the Balkans is within the European Union.” This was one of the key conclusions of the 2003 EU-Western Balkans Summit, seen then as a turning point for the region. Fourteen years later, EU foreign policy chief Federica Mogherini declared last week that “the doors of the EU are open to the entire region”. On the same day in Brussels, her boss Jean-Claude Juncker presented his white paper on the future of the Union which fails to mention the word enlargement, let alone provide a vision on the European perspective of the Western Balkans. The question is raised whether the EU still has something to offer to the Western Balkans beyond financial assistance. EU foreign policy in the Balkans can only be described as the least common denominator of 28 member countries. That has produced toothless statements that are now producing less and less effects. This part of Europe is increasingly becoming a playground for Russia and Turkey, who are taking advantage of the weakness of the EU and the new US administration no-policy to expand their economic and political influence. The threat of disintegration and conflict has never been so close. Serbia has never dealt with Milošević’s legacy and continues to play the Russian card, as demonstrated by the silencing of Federica Mogherini by Vojislav Šešelj’s MPs chanting “Serbia! Russia! We don’t need the Union!” throughout her speech in Serbian Parliament. The main 1990’s protagonists are there albeit in different positions, and 85% of the parliament consists of parties and politicians that were in power throughout the Balkan conflicts. Bosnia remains a dysfunctional state where peace is as precarious as ever. The corrupt leadership of the Republika Srpska is threatening a referendum on independence in 2018. In Albania, the opposition has been boycotting parliament and taking to Tirana’s streets, ahead of elections planned for June. Macedonia has been in crisis for the past two years and is now even more so following the December elections. It is clear that its authoritarian ex-PM, Nikola Gruevski, is not ready to transfer power peacefully. There is a significant risk that the political crisis will evolve into an inter-ethnic one. The EU has been incapable of solving it, sometimes even playing a double game. While Commissioner Johannes Hahn was busy mediating free elections and trying to put an end to the capture of the state, the rising star of his Austrian People’s Party, Foreign Minister Sebastian Kurz, openly backed Gruevski during his campaign. Last but not least, 18 years after NATO intervention and billions of euros of EU investment in the economy, judiciary and rule of law, Kosovo faces significant challenges in the fight against endemic corruption, poverty and authoritarian rule. With 1.7 million inhabitants it has become a top exporter of asylum-seekers to Europe over the past few years, right after Syria, Afghanistan and Iraq. The EU’s only carrot to Kosovo since 2012 has been the prospect of visa liberalisation. Worse, the EU has been pressuring the Kosovo parliament to ratify a border demarcation deal with Montenegro in exchange for visa liberalisation, a conditionality never heard of in Schengen’s history. Mogherini, during her speech on Saturday (11 March) in Pristina, reiterated this message while declaring Kosovo had met its other key visa conditionality: strengthening its track record in the fight against organised crime and corruption. Her statement was met with anger and irony by independent observers and commenters on social media. Corruption in Kosovo has been a key problem over the last years without any major figure being convicted. Transparency International Corruption Index 2016 ranks Kosovo 95th, between Benin and Niger. Regarding the border demarcation deal, independent experts estimate that Kosovo would hand over some 8,200 hectares of territory to Montenegro. In parallel, the EU has been facilitating negotiations aimed at normalising relations between Kosovo and Serbia since 2011. This process was doomed to fail from the outset because it didn’t include any guiding principles and didn’t require Belgrade to recognise the independence of Kosovo, while avoiding key questions related to war reparations, missing persons and confiscated assets. The negotiations have not brought any benefit. To the contrary, they have only contributed to exacerbating antagonisms. The best example is the deal on the creation of an Association of Serbian Municipalities in Kosovo, deemed unconstitutional by Kosovo’s Constitutional Court and which would lead to ‘Bosnisation’ of Kosovo. The people of Kosovo have mobilised strongly against these two deals, with a 205,000 signature petition and large scale protests opposing their ratification. The regime, caught between pressure from Brussels to pass the deals and the prospect of the new Hague-based special court established to indict some of the key figures of the senior ruling party, has responded with violence. Large scale arrests and political trials against opposition MPs and activists have been orchestrated since 2014, culminating with the suspicious death in custody of a young activist, Astrit Dehari, last November. For the first time, the EU is becoming an object of criticism among Kosovars, who until recently had been the most pro-European people on the continent. Increasingly, the EU is perceived as unfair and prioritising the European integration of Serbia over the sovereignty of Kosovo, while compromising on its own values of democracy and the rule of law. Brussels’ incapability to address the volatile situation in the region is increasingly interpreted at best as a sign of impotence and at worst as tolerance of and support to authoritarian regimes for the sake of political stability and self-interest. This worrying trend is taking place against the background of a rapidly changing global order, and could leave long-lasting traces in the Western Balkans where war ghosts are still present. The Western Balkans belong in Europe and need the EU now more than ever. It is time for the EU to stand for its values and translate rhetoric into action, before it is too late. ”..It is time for the EU to stand for its values and translate rhetoric into action, before it is too late. ..” Too late for what, Shpend? I am sorry but the EU is no mood for more threats or attempts at blackmail. If you think you can force your way in to come and profit from us you are wrong. That is not the members we want of need. In fact we have already enough of those. On the other hand Minister of justice said that these fired people have no faults on a TV programme.These people not only lost their jobs they also lost their and their kids’ health reassurances.And also they are forbidden to find a work anywhere.They were condemned to poverty. When 65,000 from all walks of life including doctors, union workers, teachers, business owners and even housewives were arbitrarily arrested .teachers,doctors,housewives who lost their sanity due to torture during weeks of interrogation.